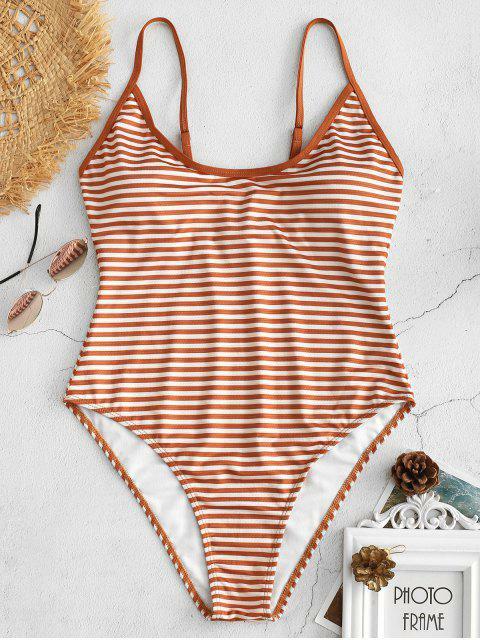 [39% OFF] 2019 High Cut Striped Cami Swimsuit In LIGHT BROWN | ZAFUL ..
One piece swimsuit can perfectly flatter the curves and add much allure on the beach sands. 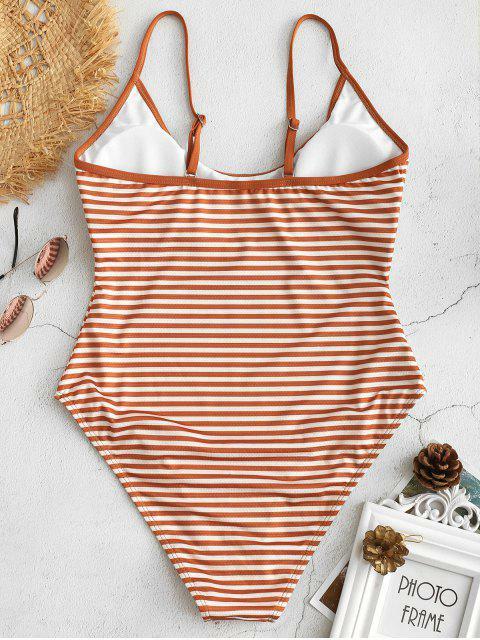 Featuring trendy stripes all over, our new one piece swimwear has adjustable slender shoulder straps to make for a suitable fit and super high cut legs to elongate the figure for a slimming look. 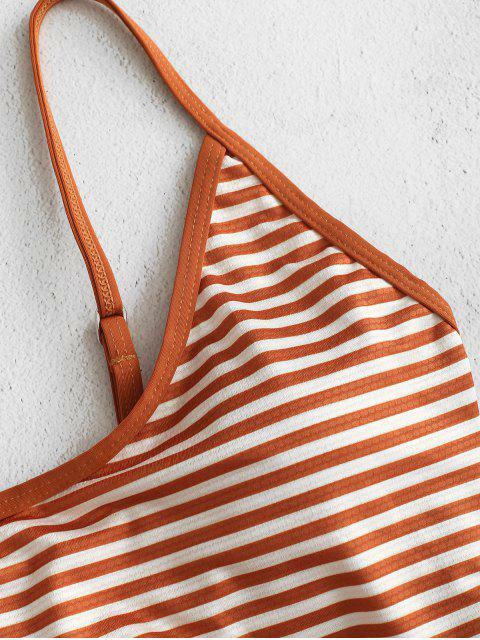 No underwire design, but pads inserted for comfortable support.